When you bank with us, you’re part of the family. Happy Holidays! Packers fans have the opportunity to participate in Associated Bank’s Packers Ugly Sweater Sweepstakes through December 28. 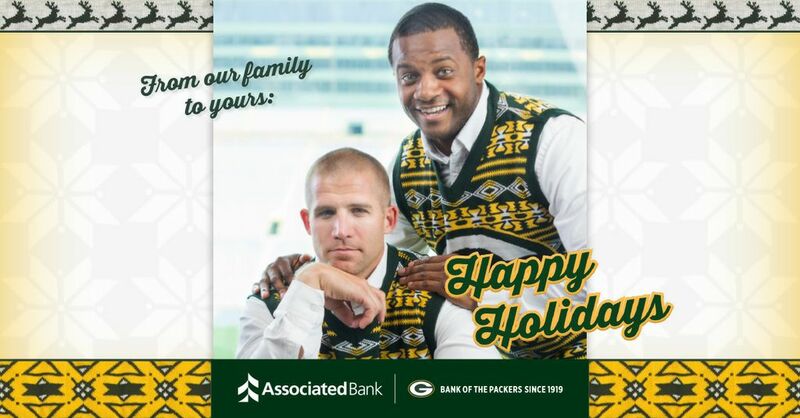 Our favorite Packers Jordy Nelson and Randall Cobb have each autographed an ugly sweater — that they have worn themselves! — and two lucky winners will be randomly selected on December 29 to win these one-of-a-kind pieces of memorabilia. Get more information and enter to win at AssociatedBank.com/PackersFan.